If you need an outside area for entertaining, relaxing or eating, usually the main priority if ensuring that you have as much light as you possibly can, whilst protecting yourself from the elements. The best way to achieve this is glass. Samson Awnings offer multiple different solutions that can help to create a barrier, protecting you from burning sun rays, chilling winds, and of course, rain. 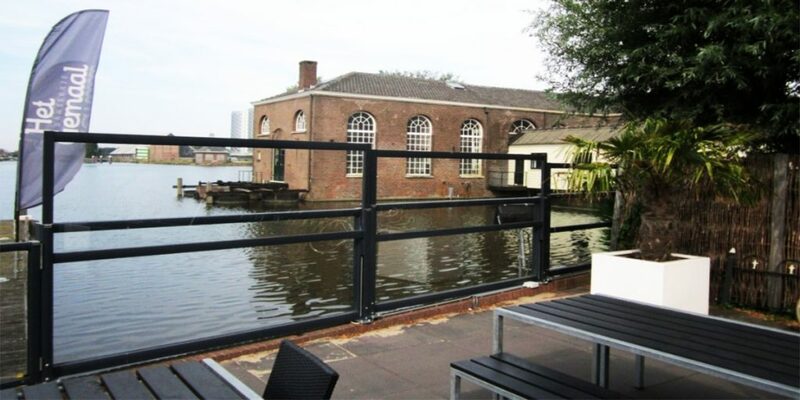 Many of these solutions use fabric, acrylic or other materials, however glass balustrades or panels are clearly the best material for side screens and barriers to protect from wind or rain. Regardless of if you are looking for a solution that slides sideways or rises vertically, we have options for both methods and all of them are bespoke in sizing and the type of glass used. 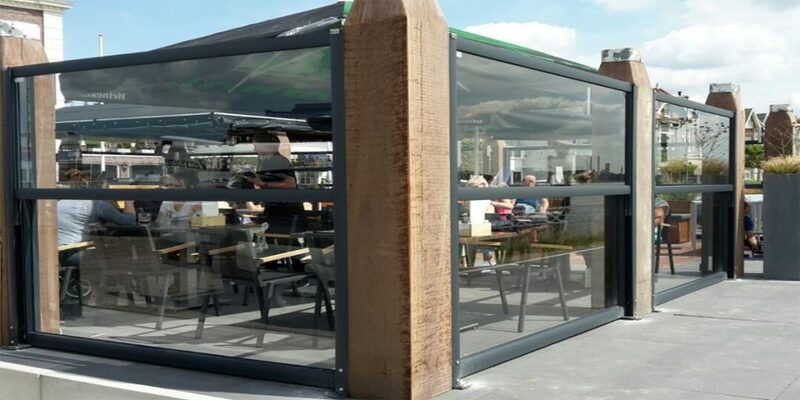 A combination of maximum light and vision from a frameless glass panel system, make these the perfect addition to numerous different properties and businesses. The frameless glass panels and doors slide on aluminium bottom tracks that enable partial or full openings, with the glass stacking next to each other at the end of the track. Locking is possible with different methods and handle sets. Brush seals are available for use either as a winter set up or simply for use to block out winds and draughts. Glass elements are versatile and can be used in multiple setups and solutions, not just to fill in the sides of terrace roof systems. They can be used for glazing on balconies, or as unique and interesting entry ways, or even simply as wind screens. The glass can be combined with optional aluminium panels. These are usually used at a lower level, and can help create more insulation and privacy where required. We also offer traditional hinged doors within the aluminium panels, and this can suit certain applications well. 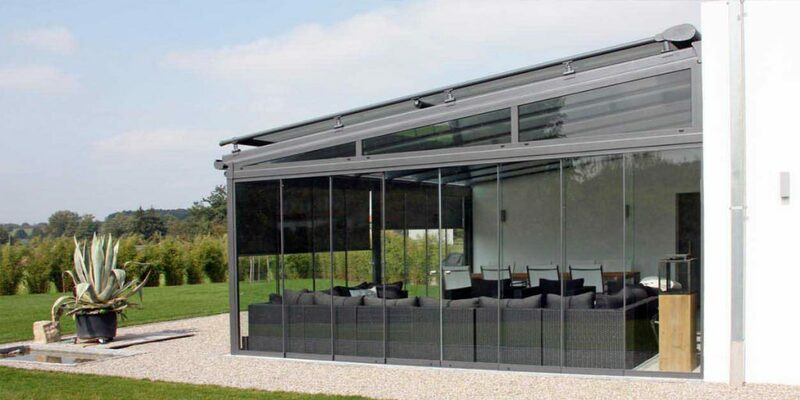 All glass elements supplied by Samson Awnings are both planned and designed specifically for each installation, and are made of high quality aluminium and glass, and are assembled with top-quality workmanship. They are not only durable and well built, but they look fantastic and are easy to look after. 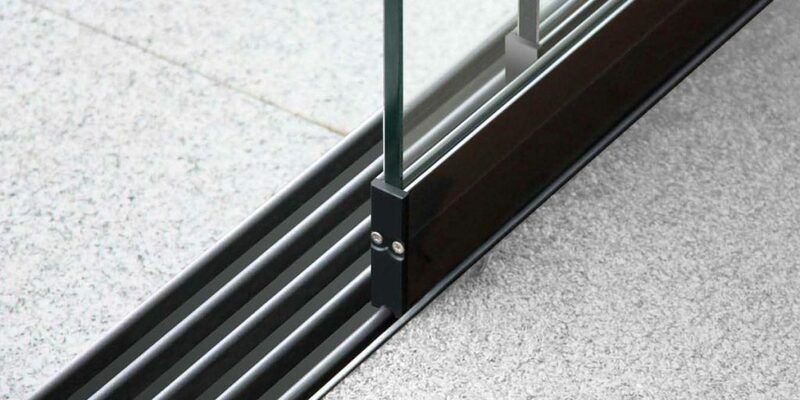 The glass elements can be both glass windows or doors, and the floor tracks for doors can be recessed into the floor to provide barrier-free access. The ball bearings within the sliding elements mean they move with an extremely light touch, whilst still ensuring lasting functionality. 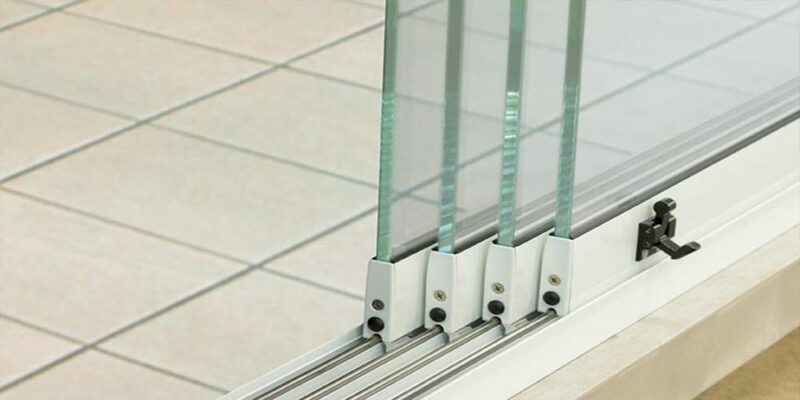 The glass sliding elements can run on the two or five railed tracks either individually or in pairs, which makes lengths of up to ten metres possible. 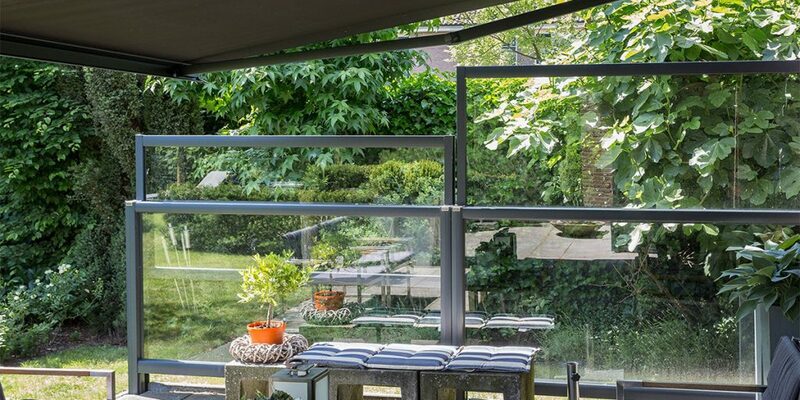 Options are available from both Weinor and Erhardt Markisen, who are two of the market leading German companies who specialise in high quality made to measure awnings, verandas and outdoor rooms. 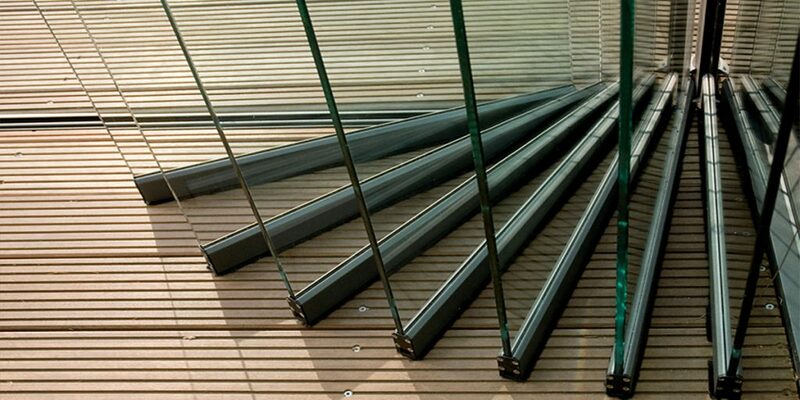 The ability to control your environment simply at the push of a button is crucial to the appeal of the Luderitz system, a brilliant new form of glass balustrades. Perfect for both domestic and commercial settings, this system can help make balconies, terraces and more all seem more comfortable and private, whilst offering protection from wind or even rain when combined with roof systems, all whilst maintaining good levels of vision and light. 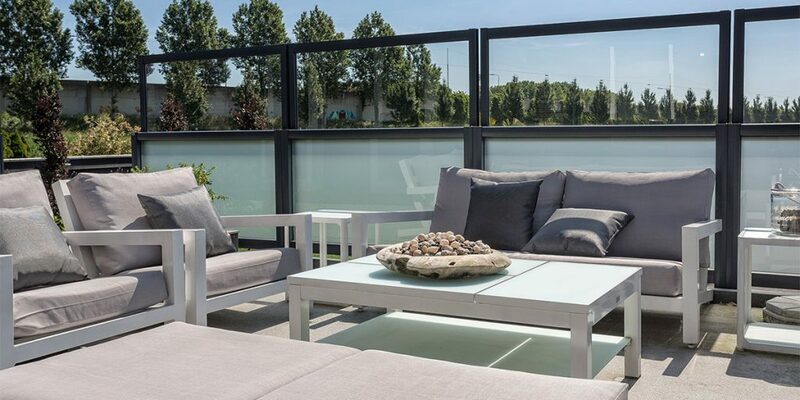 Adjusting the amount of air flow with rising glass balustrades helps you to truly take control of your surroundings and climate, and allow these systems to provide versatile protection. They are also very easy to operate, with both manuals and electric operation possible, with two different Somfy electric motors able to be used. This system comes in made to measure sizes, and can even be joined together for wider applications, with limitless width possibilities. The Luderitz is usually split into two or three horizontal sections depending on requirements, and secured to the ground using specifically designed plates. There are additional options for aluminium framework colours and finishes, with glass able to be changed for 6mm safety glass, 5mm frosted or fumed glass, and more.